Get Calluses, Get Blistered at the 44th Blistered Fingers Family Bluegrass Music Festival held June 17 through 20 at the Litchfield Fairgrounds in Litchfield, Maine. Some of the greatest Bluegrass music can be heard at one of the largest family musical events in New England. 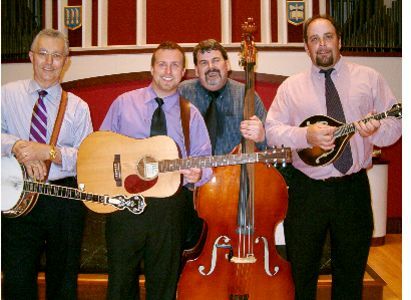 Blistered Fingers is a fast- moving traditional Bluegrass Band from the central Maine area that travels extensively around the northeast and eastern Canada. Reedsville, PA -- Five days of Camping and Bluegrass Music will be what's happening at the 6th Annual Remington Ryde Bluegrass Festival this July 12-15, 2012 in Reedsville, PA 17084. Fifteen bluegrass bands are scheduled to entertain attendees throughout the festival. There will be top names, bluegrass favorites, regional talent and more.